The luxury car experts at Harte INFINITI know that you deserve more than just a vehicle; you deserve a VIP car-buying experience. That’s why everyone at our INFINITI dealership in Hartford, CT, is committed to serving you the best that we can. Come browse our new and pre-owned INFINITI cars and SUVs for sale, or schedule INFINITI service when your vehicle is in need of maintenance or repairs. No matter what brings you to Harte INFINITI, our expert sales, service and financing staff will be here to help. Looking for a new INFINITI lease? At our Hartford INFINITI dealer you can lease the new INFINITI Q50 or Q60 sedan. We also have new INFINITI Q70 cars for sale, or if you prefer a luxury SUV, you can test-drive the INFINITI QX30, QX50 or QX60. We also have a huge selection of used INFINITI vehicles for sale at enticing prices. Browse our inventory of INFINITI models and then meet with our INFINITI financing team to go over your new INFINITI lease and loan options. Whether you drive home in a new INFINITI QX80 or a pre-owned Q70, your luxury car will require regular maintenance in order to keep performing up to its true potential. That’s why the expertly trained technicians at our INFINITI service center near West Hartford, CT, are here to take care of your vehicle. Whether you need an oil change, tire repair, transmission service or other maintenance, you’ll find the quality care you need at the Harte INFINITI service center. Plus, we have a large inventory of genuine INFINITI parts, so you can rest assured that high-quality components are going into your luxury car. 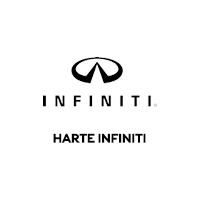 Harte INFINITI is located at 150 Weston St. in Hartford, CT. It’s easy to get to from Manchester, New Britain and beyond. Visit our Hartford INFINITI dealership to test-drive a new INFINITI SUV, lease a new INFINITI sedan or for INFINITI service and repairs. We’re here to satisfy all your luxury automotive needs!